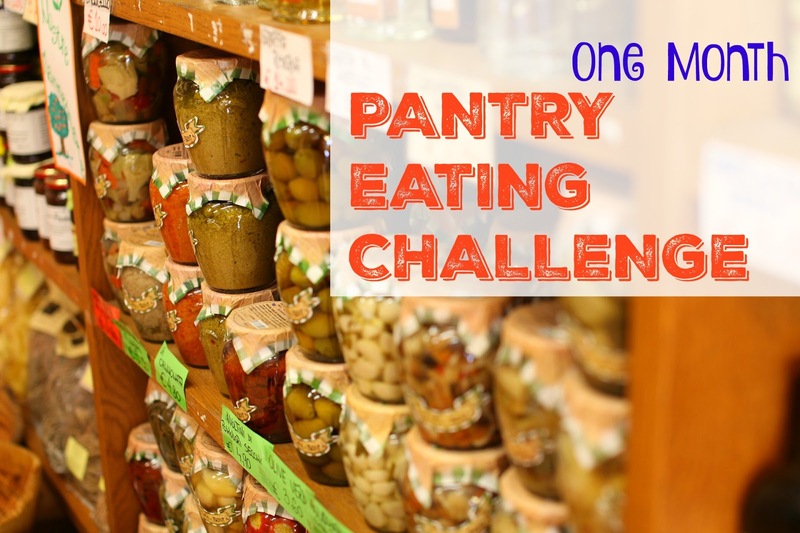 Two weeks ago I announced my husband and I were going to do a one month pantry eating challenge. 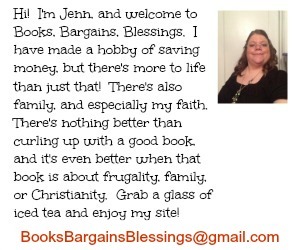 I am a bargain shopper, avid coupon user and have so much in the pantry that I want to see how little we can buy and still eat for a month. 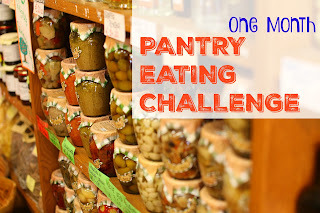 I often stock up before winter, but it's not as needed anymore, and so I'm going to see how long the one month pantry eating challenge will last. Here's what we ate and what we spent last week. On my husband's day off, we decided to eat at Olive Garden. We had recently won a gift card from a school fundraiser, so this cost us nothing at this point. On Tuesday, we had tacos. I raided the guinea pig's food for some lettuce and tomato. (I'm not counting guinea pig food in our grocery costs, just human food.). We had cheese and tortillas here, as well as frozen ground beef. On Wednesday we had frozen pizza. There's still a stack of frozen pizzas in the freezer from recent when I was able to get great deals after coupons and savings apps. On Thursday we had spaghetti. At the school fundraiser where we won the Olive Garden card we also won a pasta lover's basket that included noodles, sauce, and a jar of Parmesan cheese. I'm glad we won some sauce because otherwise we would be out. We had frozen ground beef as well as some pepperoni in the fridge which we sometimes put in spaghetti. Over the weekend, I made a big pot of chili which lasted us two days. Our other meal was macaroni and cheese with bacon pieces.